Apparently, an elephant’s skin is an inch thick. Handy really, given the amount of gunfire my flappy-eared steed had to take when we barrelled into that enemy outpost. Fortunately, they’re also the only mammal that can’t jump – so he didn’t leap into the air when those explosions erupted around him either. And they’re heavy too – the largest land animals in the world, apparently… extremely useful when trampling on bad guys and smashing up cars. 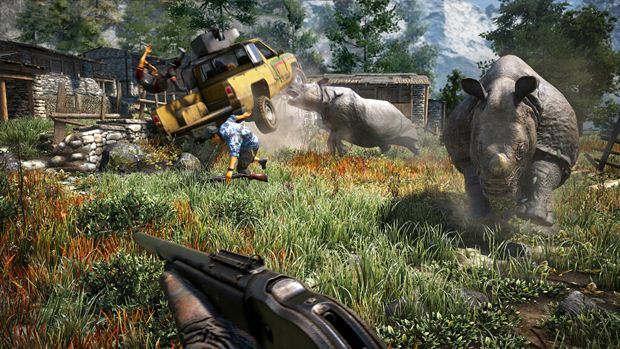 They are just one of the many critters you encounter in the dramatic new surroundings of Far Cry 4. Gone are the tropical islands and dusty African tundra of games past, instead replaced by the chilly peaks of the Himalayas. "Kyrat may have some of the most gorgeous vistas you’ve ever seen, with its mountain ranges and lush vegetation, but there’s a reason this place doesn’t grace the cover of any travel brochures." But please remember to keep your arms and legs in your vehicle at all times, don’t feed the animals and don’t go out alone at night. Oh, and don’t mess with the locals. Kyrat may have some of the most gorgeous vistas you’ve ever seen, with its mountain ranges and lush vegetation, but there’s a reason this place doesn’t grace the cover of any travel brochures. Frankly you’d be a little miffed at your mother if her final wish ended up putting in slap bang in the middle of a bloody civil war. 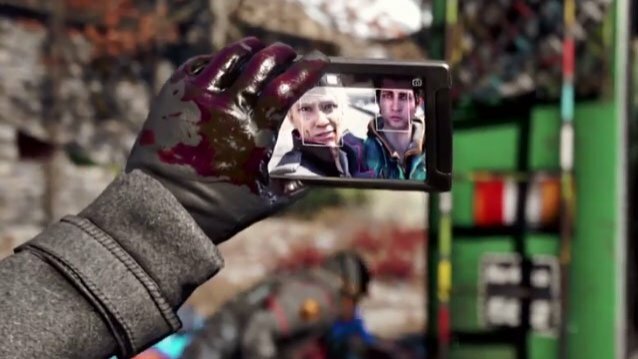 But our protagonist Ajay Ghale is a little more forgiving than me. Like a doting son, he headed to the picturesque region of Kyrat to spread her ashes, and ended up getting stuck in the middle of a rebellion, with the locals struggling under the regime of a tyrannical self-appointed king. 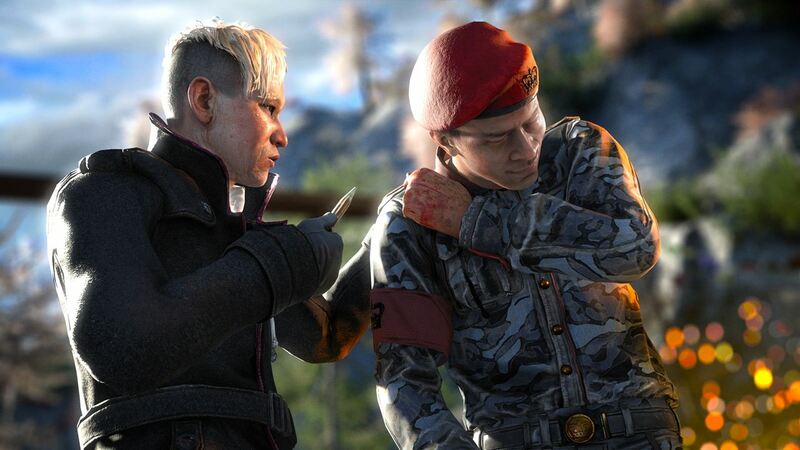 In my mind, Pagan Min is one of the greatest antagonists this past year and a close contender to trumping Far Cry 3’s Vaas for the Sinister Psychopath Award. Amiable one minute and completely mental the next, the dapper Min is a fantastic character voiced by the ubiquitous Troy Baker, and manages to steal the show. It’s been a busy few months for Ubisoft, with its various releases getting a mixed reception from gamers. 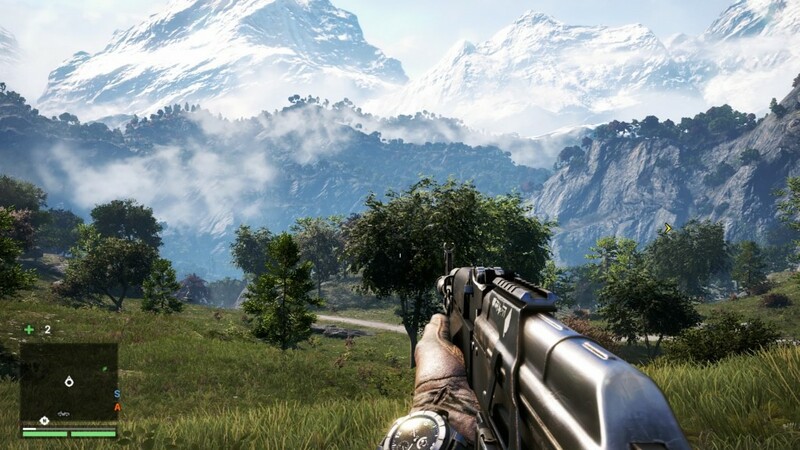 Far Cry 4 is arguably the best of the bunch, putting you into an amazing and absorbing world, where everything is dangerous and if the locals don’t kill you, the wildlife will. Granted, it feels like Far Cry 3 with a facelift but anyone who loved the previous game won’t care a bit. Whether you’re riding elephants, joyriding on hovercrafts or going all Bond with your wingsuit, this is a game that has something for everyone. You could easily forget about the main story missions and just enjoy your time liberating outposts, scaling towers, hunting, crafting or tracking down collectibles. "Driving is tricky at first but you soon realise it simply boils down to pushing the left stick in the direction you want to travel. An autodrive option is also available so you can fire at bad guys and wildlife while en route." The map is absolutely vast – although much of it is initially covered by fog and inaccessible. As you proceed through the various campaign missions, attack outposts and sabotage towers, more locations become available and the map opens up. You’re then able to go pretty much wherever you please. It’s a fantastic open world game, with plenty going on to distract you from getting to the next waypoint. You may have been tasked with going to help some rebels under siege or grabbing some valuable intel but it’s terribly tempting to take a slight detour along the way to grab a few Bharal hides, or pluck a few feathers from a downed eagle. Word of warning though… never play chicken with an Indian Rhino – even if you sit at the controls of a sturdy-looking truck. It’s guaranteed you’ll come off second best. Driving is tricky at first but you soon realise it simply boils down to pushing the left stick in the direction you want to travel. An autodrive option is also available so you can fire at bad guys and wildlife while en route. There are loads of cars available, from quads and trucks to tuk tuks and buggies. Fancy something a little different then why not grab a hang glider to cover huge distances or the incredibly cool gyrocopter? You can’t help but grin from ear to ear when at the controls of your single-seater helicopter skimming tree tops on your way to your next waypoint… that is, of course, until the warning light flashes and alarms sound, suggesting you’re about to plunge from the skies. Personally I like nothing better than chancing upon a heavily guarded outpost. They’re easy to find; smoke spewing into the sky denoting the location of an enemy stronghold that needs to be liberated and ransacked for goodies – hopefully without setting off any alarms. "Should you ever find yourself in a bit of a spot and heavily outnumbered then you can always call upon a friend for help, or collect Karma credits and use Guns for Hire tokens to call upon the Golden Path for support from some AI rebels." You can lure guards away from their post by throwing a rock, pick off bad guys from afar or plot the best way of sneakily taking out the patrols and catching them unawares. Selecting your camera highlights all enemies, captives and animals – and keeps them highlighted for the duration – allowing you to see their every movement and plan accordingly. Mortars, grenade launchers, machine guns and an array of semi-automatic side arms are at your disposal, as are crossbows and throwing knives if you want to adopt a quieter approach. Going in all guns blazing can get quite messy – and lead to reinforcements being drawn to your location – so a bit of stealthy assassination or sabotage tends to be the order of the day. It’s hugely satisfying unleashing a caged Bengal Tiger and watching him rip through the outpost’s defences in search of tasty morsel, before you saunter in and mop up the leftovers. Should you ever find yourself in a bit of a spot and heavily outnumbered then you can always call upon a friend for help, or collect Karma credits and use Guns for Hire tokens to call upon the Golden Path for support from some AI rebels. XP and skill points are earned throughout the game allowing you to upgrade your abilities through two separate skill trees: the elephant (where abilities are based on brute strength) or the tiger (stealth based and far more deadly). "Besides the Campaign, there are multiplayer options too - The Chronicles letting you fight online in various 5 vs 5 games: Quick play, Outpost, Demon Mask, Propaganda and Custom Matches. Outpost is a particular favourite, as you have to hunker down and defend your positions - great fun when your team works well together." Taking the Tiger path, for example, allows you to unlock Death From Above to kill enemies by jumping down onto them, Soft Landing to reduce fall damage and Non Stop, which increases your stamina when running. The Elephant options, however, mean additional health slots, Hunting Syringes to highlight prey and Rhino Skin to take increased damage. My choices tended to favour the elephant path – largely because I wanted to ride the beasts and knock over cars with their trunks! Besides the Campaign, there are multiplayer options too – The Chronicles letting you fight online in various 5 vs 5 games: Quick play, Outpost, Demon Mask, Propaganda and Custom Matches. Outpost is a particular favourite, as you have to hunker down and defend your positions – great fun when your team works well together. 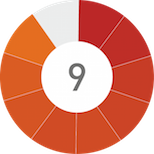 Then there are user generated maps that provide almost unlimited variety, as well as the fairly comprehensive map editor – should you have the patience and dedication to try creating your own masterpieces. 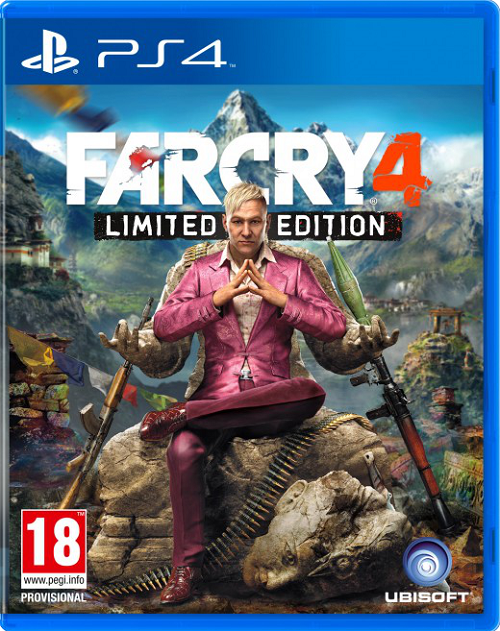 Far Cry 4 is a huge game and an awesome one at that. The campaign is meaty and the side missions are plentiful. Then there are all the collectibles and the chests littering the map that hold all manner of cash, ammo and goodies that can be sold to the local Sherpa. Weapons can be bought and upgraded, new skills discovered and rare animals tracked. The multiplayer options are unlikely to keep your attention for too long but are still great to dip into time and time again. Welcome to the world of Kyrat – hope you enjoy your stay as much as I did. This game was reviewed on the Xbox One. Little by way of innovation. Despite one of the best antagonists for ages, Pagan doesn’t play a big enough role. A mother’s dying wish ends up with you helping a rebellion to overthrow an evil tyrant. Typical.